Most Costa Ricans and expats do their weekly shopping at one of the country’s many farmer’s markets. At a feria (the Costa Rican word for farmer’s market) you can buy a great deal of fresh-from-the-farm produce, meats, cheeses, and other products at incredibly low prices. There are ferias all over the country and many of them also sell locally made crafts, clothing, nuts, honey, homemade wines, juices, freshly caught seafood, desserts, and more. Visiting a farmer’s market while you are in Costa Rica is a wonderful cultural experience. Most towns have their own daily or weekly feria. The one in Villa Real, just outside of Tamarindo, is a great example. This farmer’s market was originally held only once a week, but in the past year it has established a full-time location and is open every day. Here you can buy a pineapple, a watermelon, a papaya, six bananas, four avocados, two plantains, cabbage, broccoli, an eggplant, two zucchinis, a bag of carrots, four tomatoes, three cucumbers, two onions, a bunch of cilantro, a dozen eggs, some palmito cheese (a ball of homemade string cheese), and a freshly cracked coconut to drink, all for around 20,000 colónes (less than $40). That’s less than 50% of what you would pay at one of the bigger supermarkets in the area. Every Saturday from 8 a.m. to 1 p.m., the Tamarindo Feria is open in the lot next to El Pescador and the Alfaro bus terminal. If you are staying in Tamarindo or the surrounding area, it is highly recommended that you check out this lively scene. There are several organic produce stands, a local fish vendor, a homemade-spice vendor, organic wines, cheeses, chocolate, baked goods, a taco truck (Eat My Taco), ice cream, a flower shop, and an assortment of locally made arts and crafts. There is typically live music and an animal adoption booth, as well. 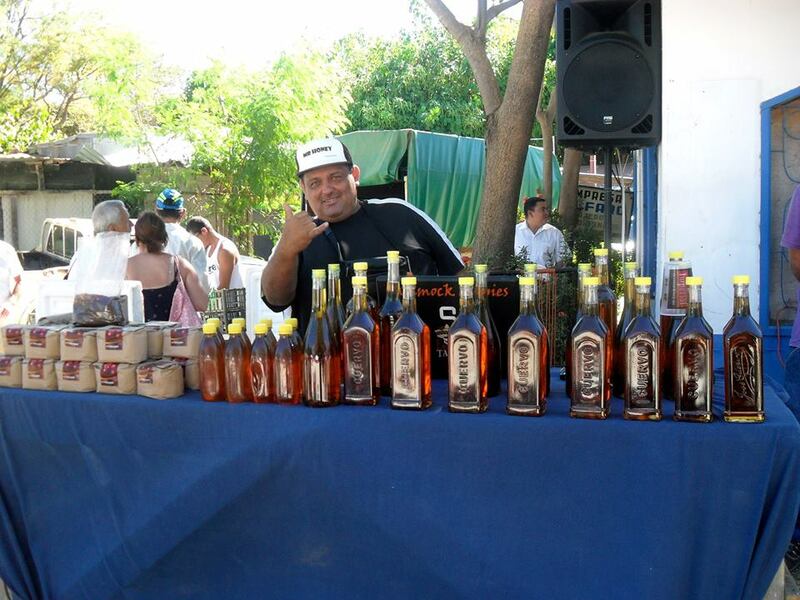 The Tamarindo Feria is a really fun way to spend a Saturday morning like the locals. Every Wednesday from 3 p.m. until 6 p.m. the La Paz Community School in Guanacaste hosts a fabulous organic farmer’s market. There are local vendors selling organic fruits and vegetables, spices, teas, coffees, fish, eggs, baked goods and sweets, homemade soaps, jewelry, and so much more. The market is held underneath a beautiful Guanacaste tree. Oftentimes, students are out there selling lemonade and promoting their community and environmental projects. This is a small market with a whole lot of great stuff for sale. It is advised that you get there early if you are seeking fresh fish and organic kale, as these two items sell out fast! 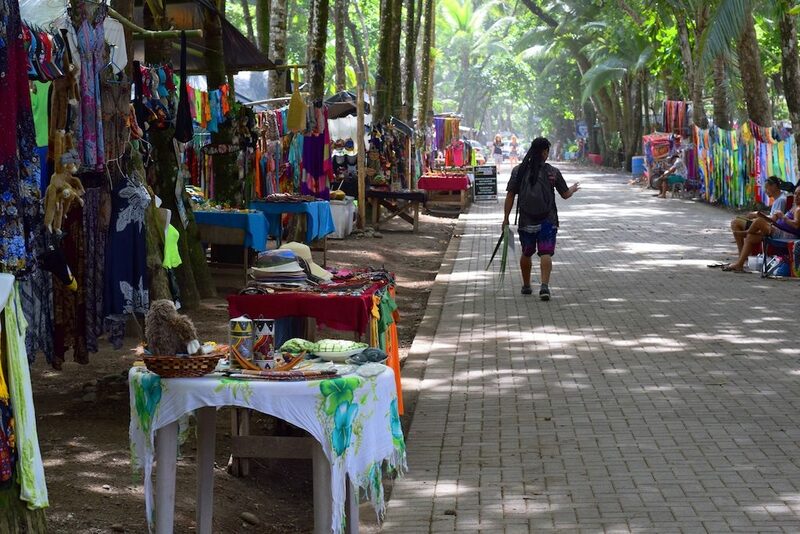 Parellel to the beach, local vendors line the hand-laid brick road and sell a colorful assortment of dresses, sarongs, T-shirts, dreamcatchers, jewelry, paintings, purses, hats, hammocks, and more. The setting is so picturesque: a rainbow of colors swirling in the sea breeze underneath palms trees, as you stroll down the avenue, a stone’s throw away from the waves crashing on the shore. This is a amazing place to grab an ice-cold beer from one of the beachfront bars, stroll down the beach road at a leisurely pace, and pick up some unique souvenirs. If you are staying in the Quepos or Manuel Antonio area and you are planning on cooking some of your own meals, you have to go to the Farmer’s Fair in Quepos. The grocery stores in this area are on the pricy side, but the farmer’s market is very reasonable and is the best option for food shopping. The market is open from 4 p.m. on Fridays and on Saturday mornings. 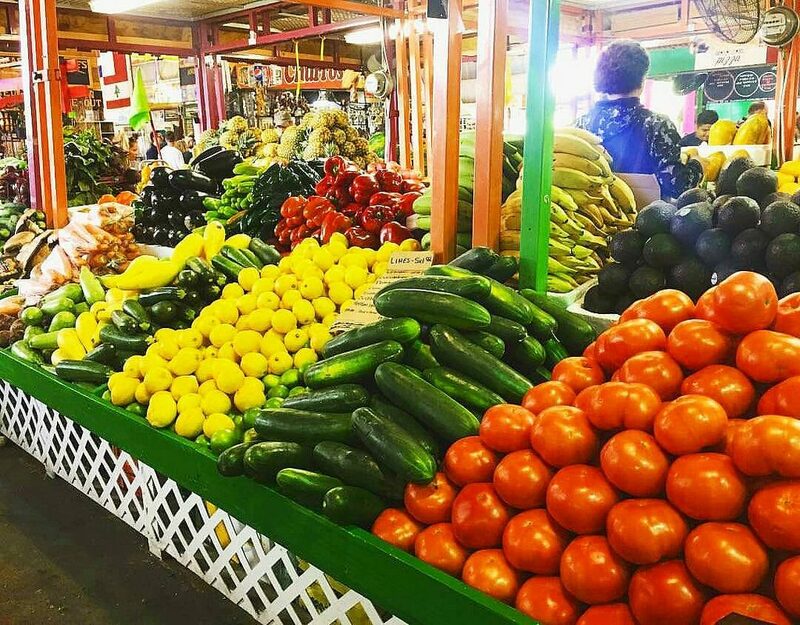 You can buy locally grown produce, delicious Costa Rican cheeses, freshly caught seafood, and pre-made items such as guacamole, salads, slaws, and sauces. There are arts and crafts vendors here too. If you want to shop like a local, this is where you do it! El Mercado Central is one of the most well-known markets in Costa Rica, especially in the Central Valley. This elaborate marketplace first opened in 1882 and has since been the epicenter of cultural and daily life in San Jose. This market is the embodiment of traditional Costa Rican food, and is especially famous for its variety of casados (typical plates of rice, beans, salad, sweet plantains, fried cheese, and chicken, fish, pork, or steak). There are vendors selling homemade tortillas, empanadas, cheeses, jellies, honey, desserts, juices, and other traditional items. You can also purchase locally grown fruits and vegetables, as well as crafts and clothing. The Feria Verde de Aranjuez was one of the original gourmet and organic farmer’s markets in Costa Rica; it is also one of the largest. It is located just outside the capital city of San Jose and is open every Saturday from 7 a.m. until 12:3o p.m. You can find homemade gluten-free pasta, goat’s milk products, free-range eggs and chicken, artisanal cheeses, delectable pastries, and a ton of other speciality items that most supermarkets in Costa Rica do not carry. There are also local artists selling their crafts, musicians playing live music, and yoga classes. It is easy to spend the entire morning here, as there is so much to do and see! The Central Farmer’s Market in Escazu is held every Saturday from 7 a.m. to 1 p.m. and is located just south of the San Miguel Church. Here you can pick up an assortment of exotic Costa Rican fruits and vegetables, local cheeses, meats, and seafood, and delicious Costa Rican staples such as empanadas, corn tortillas, patacones, and icy cold pipas (coconuts). The prices are so much more reasonable here than if you bought the same amount and quality of produce, proteins, and staples at a big supermarket, and this is a great way to support the local farmers and artisans, as well.